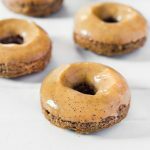 These Caramel Baked Vegan Donuts are glazed with an easy vegan date caramel sauce and are delicious. 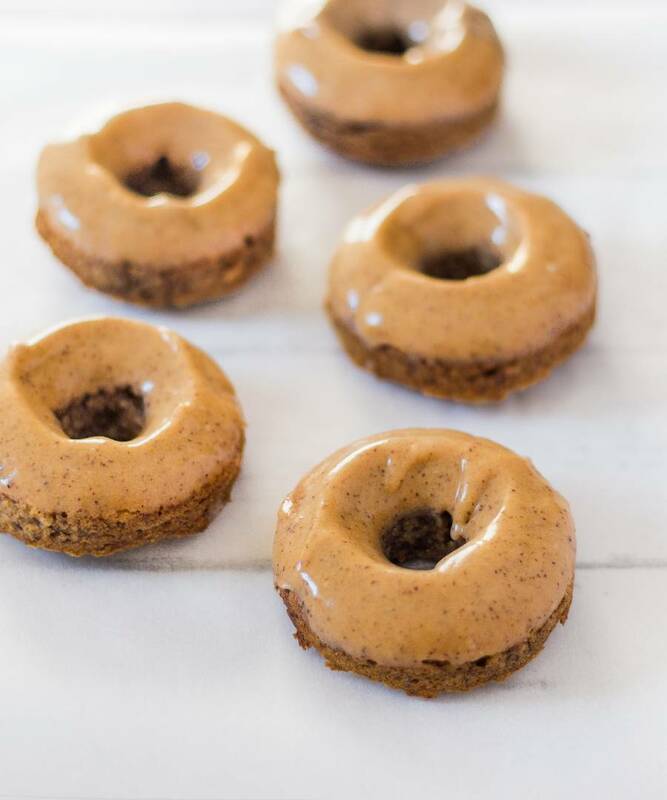 They are Vegan, Gluten-Free, Oil-Free and Refined Sugar-Free as they are only sweetened with dates. 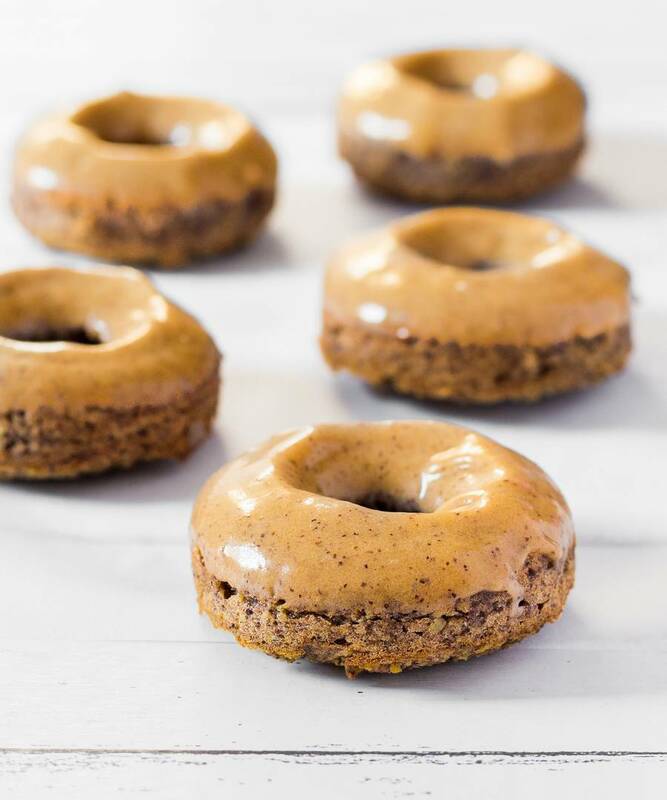 If you like donuts and if you like caramel, then this recipe is definitely going to make you happy. 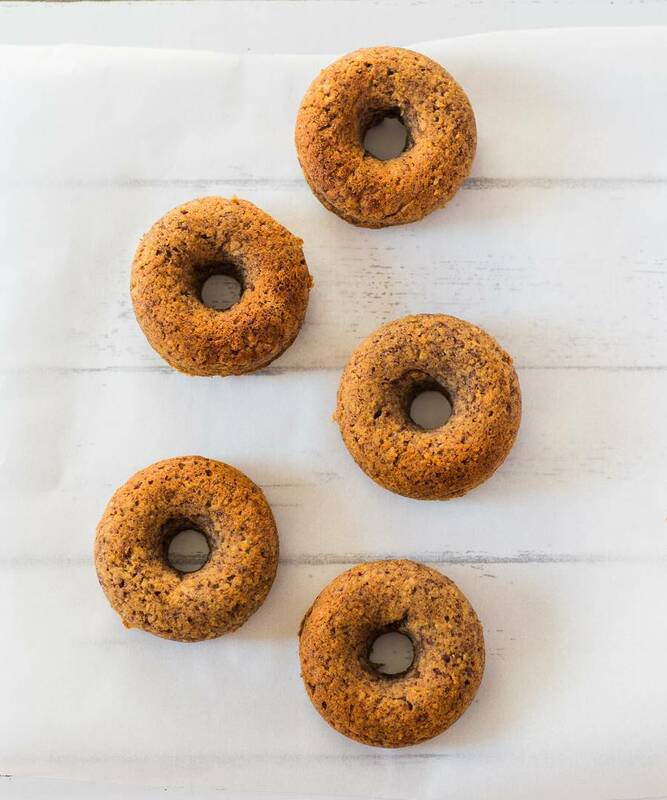 These donuts are light and fluffy, yet they are very healthy and nourishing thanks to the dates and the oat flour. 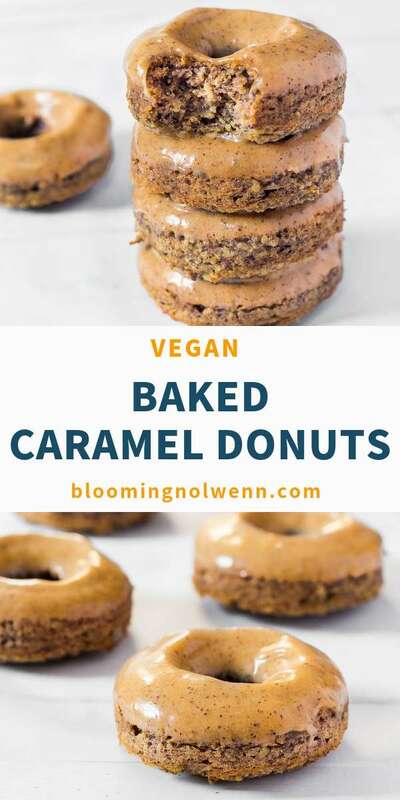 They are glazed with a delicious vegan date caramel sauce that you can make in only 3 minutes. 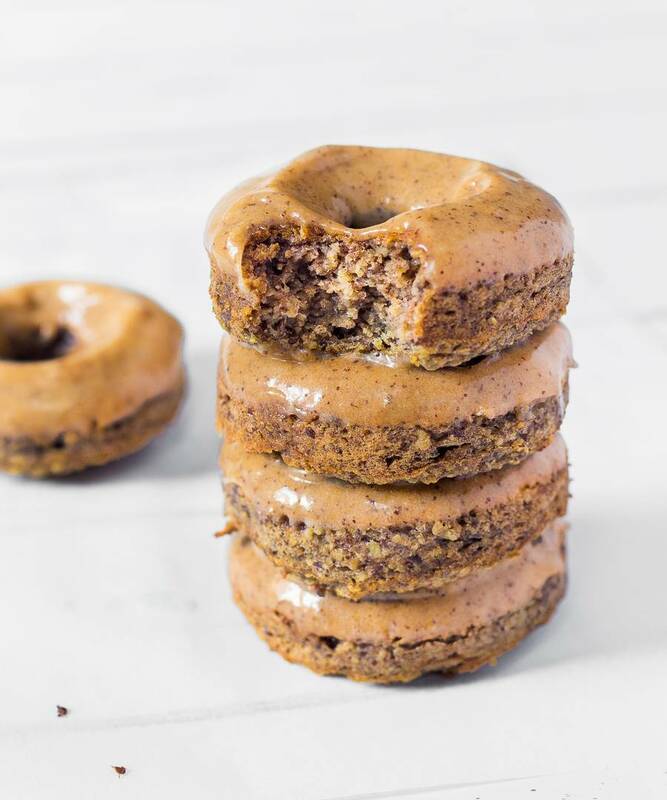 To make these donuts, all you have to do is blend non-dairy milk, dates and flax egg together until smooth. Then add the mixture to the oats and stir everything until well-combined. Spoon the mixture into a silicone donut pan or pipe it with a piping bag or a ziplock bag. 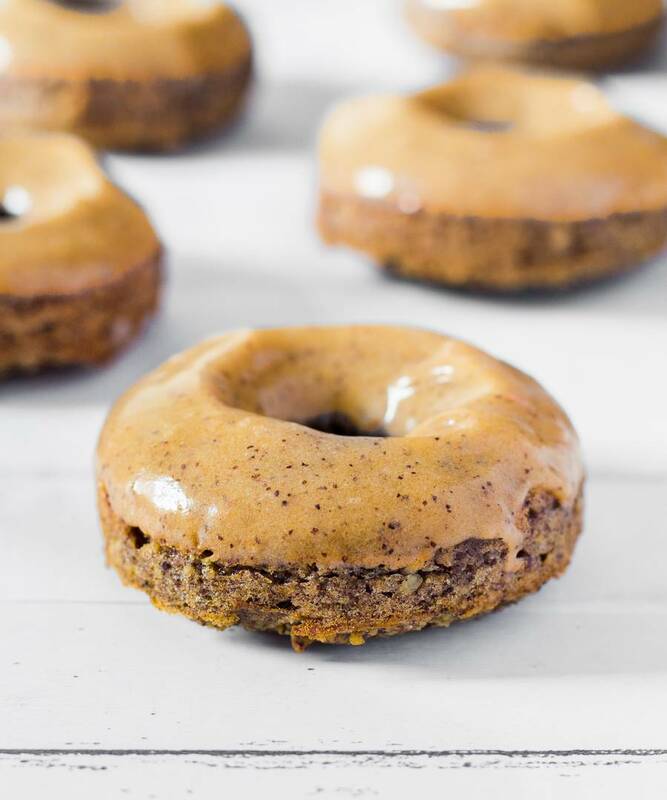 These donuts are very healthy as they are only sweetened with dates. I try not to use refined sugar in my recipes and I find that dates work really well most of the time. To make the caramel sauce, I used dates, coconut milk, maple syrup and peanut butter to give it this nice golden caramel color. Again, simply place all the ingredients in a high-speed blender and blend until smooth. 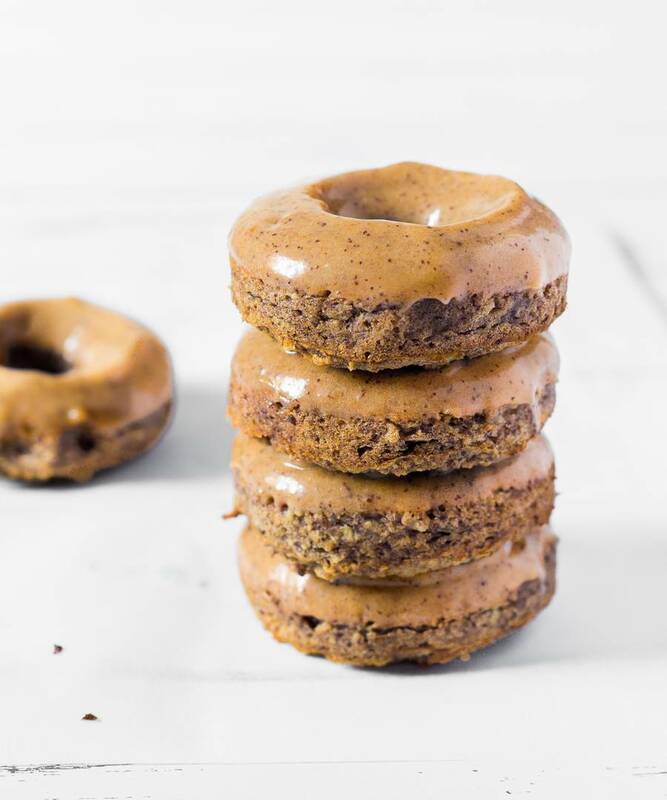 Now it’s time to dip your donuts in the sauce and take a bite! Place the coconut milk, pitted dates, flax egg and orange blossom in a high-speed blender and blend until smooth. There should be no chunk of date left. Add in the coconut milk and date mixture and stir well to combine. Spoon the mixture in a donut pan and smooth it out with the back of your spoon. Or poor the batter into a ziplock bag, cut off the bottom corner and pipe the batter into the donut pan. Bake for 15-25 minutes at 350°F or 180°C. Remove from the oven and allow to cool completely. Place all ingredients in a high-speed blender and blend until silky smooth and creamy. 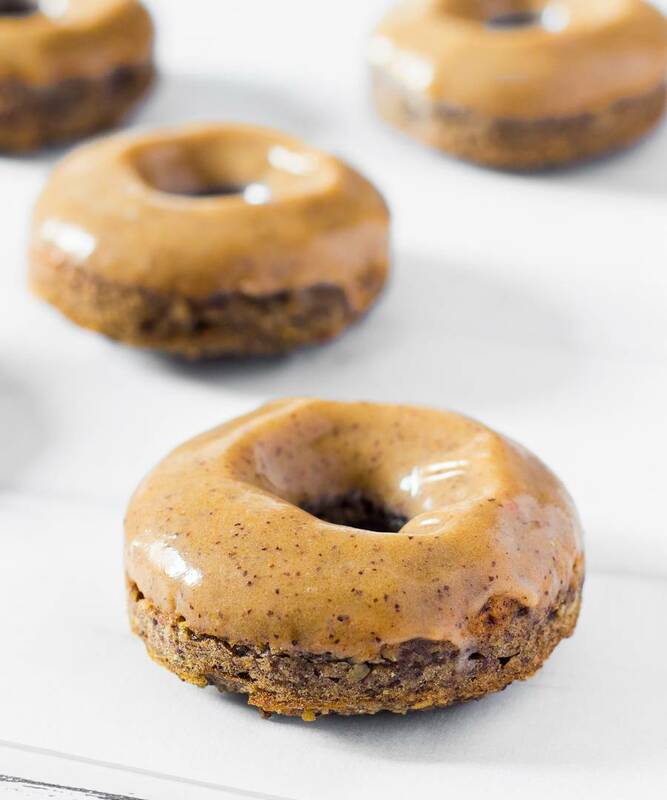 Once the donuts are completely cooled, carefully dip them in the caramel glaze, one at a time. Have fun! Thank you, Alexandra 🙂 I hope you will like my recipe! These look delish! I have to give these a try! 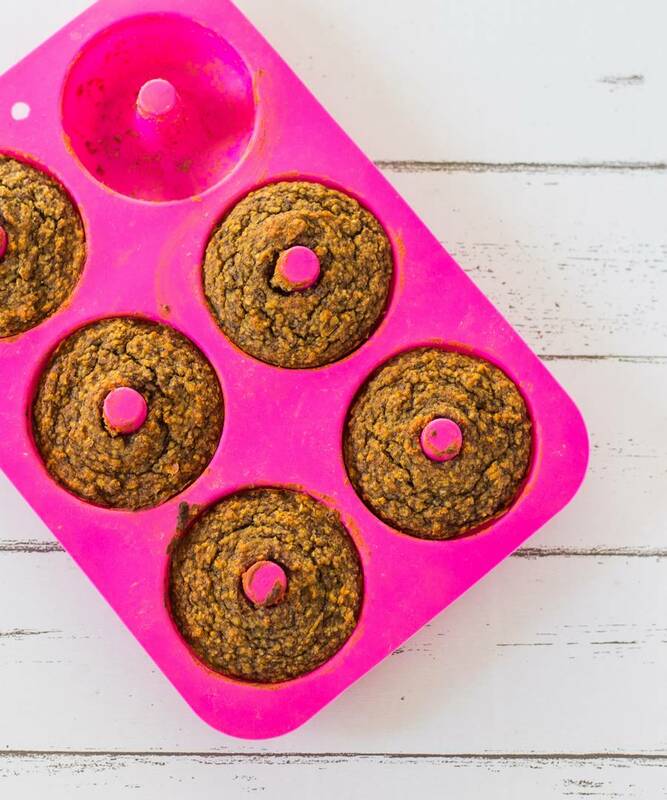 They look so yum and quick to make…will definitely give a try! Thank you for you comment 🙂 Do let me know if you try my recipe! These donuts look super delicious! Love the flavors! I just made these today – So good!! I used regular flour and instead of coconut milk, I used the Silk Coffee Creamer and it still turned out really well! I had more than 6x donuts so the rest of the batter was good for 7x mini cupcakes 🙂 Thank you for sharing – A keeper! !